Specials: Last minute discount for April 29 - May 4, inc. free equipment! Bunmee 4 is a very special boat for several reasons, some of which are tangible, but others need to be experienced to be appreciated. 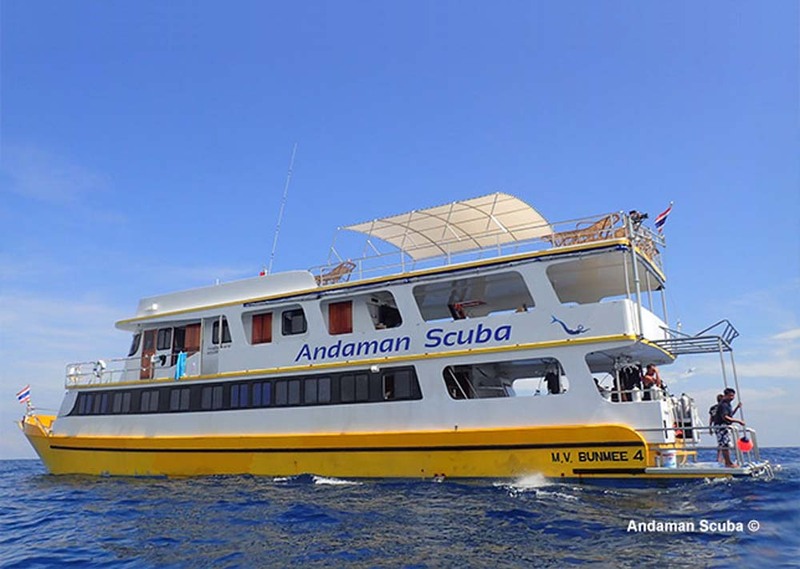 This purpose-built diving liveaboard is brand new in 2016, and can comfortably take up to 20 lucky guests on scuba diving safaris to all of the best dive sites in Thailand. From the accommodation, to the communal areas, service and organisation, Bunmee 4 is a great choice. Starting with the communal areas, Bunmee 4 has plenty of space for up to 20 guests to relax and socialise. This includes finding some privacy in the shade or sun, as well as getting to know your fellow guests or dive staff over a dinner or a drink. There are sundecks at the front and on top of the boat where sun worshippers and star gazers can enjoy the clear skies and views. 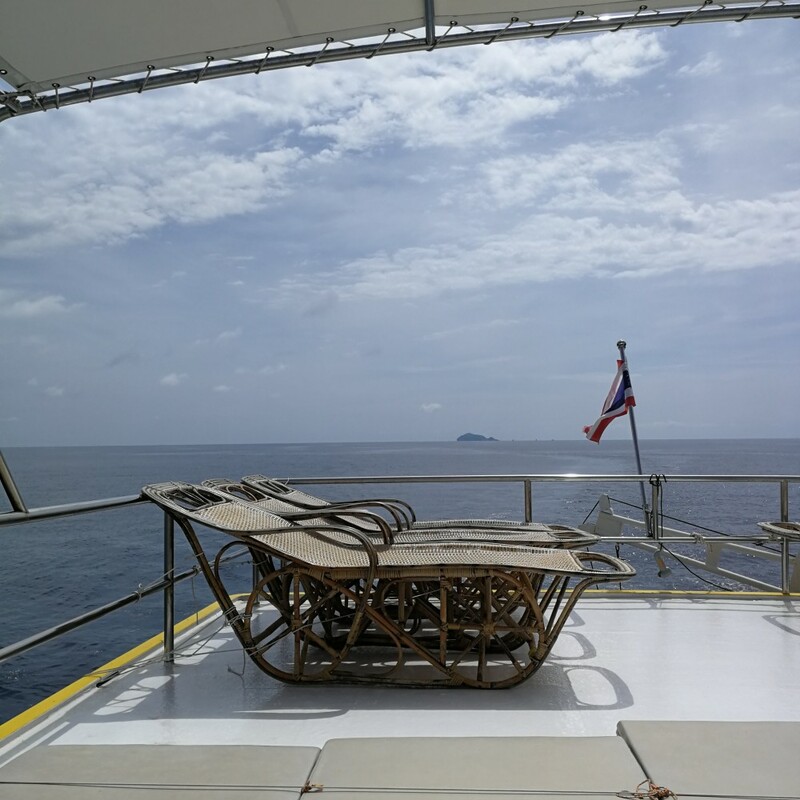 The diving platform of Bunmee 4 is located at the rear of the main deck, and this area is large and well designed. 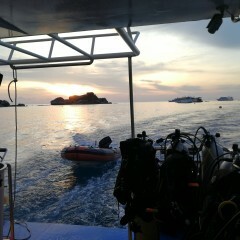 A spacious dive deck is very important for incident-free diving safaris. At the rear of the upper deck is the main dining and relaxing area. This is covered but outside, so everyone is sheltered from the sun or any rain, but you can still enjoy the sea breeze and views. Here there are four large dining tables and lots of sofa benches. There’s plenty of space for guests to dine together or away from others. This area is also where Bunmee 4’s unique dive briefings are given. 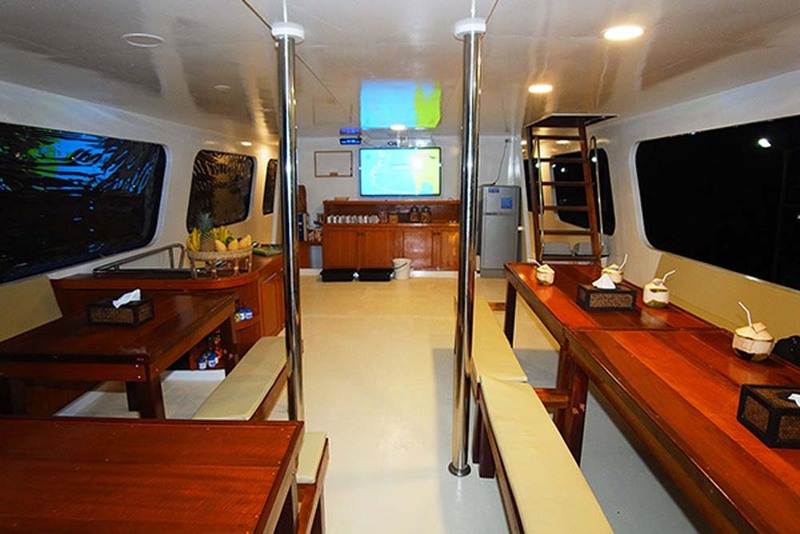 Instead of using a portable whiteboard like most other Similan liveaboard diving boats, the staff on Bunmee 4 use a video presentation to better show and explain what divers are likely to see underwater. There are 10 cabins on Bunmee 4 in two levels of luxury. On the main deck there are 8 cabins with private en suite bathrooms. These can have twin or double beds. 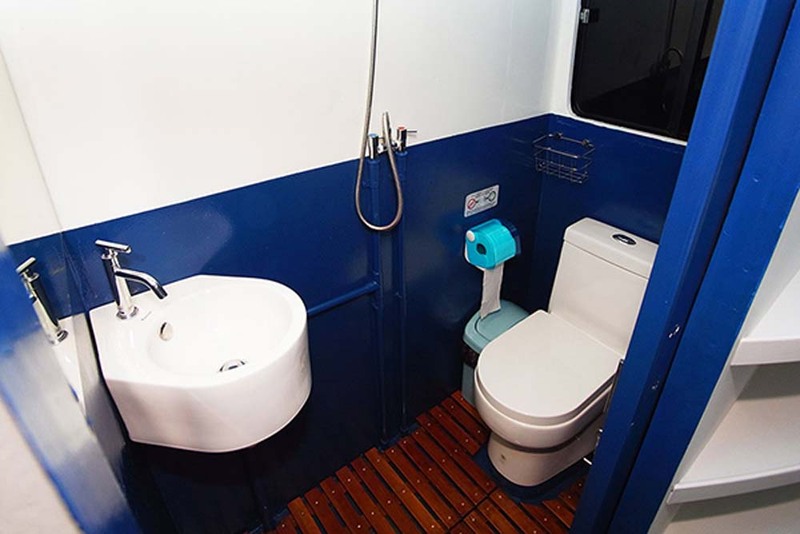 On the upper deck are two more cabins that are also twin or double, and these two cabins use one bathroom that is specially designated for these guests, and nobody else. All of Bunmee 4’s cabins have air conditioning, storage space & large sea-view windows, and they are cleaned every day. 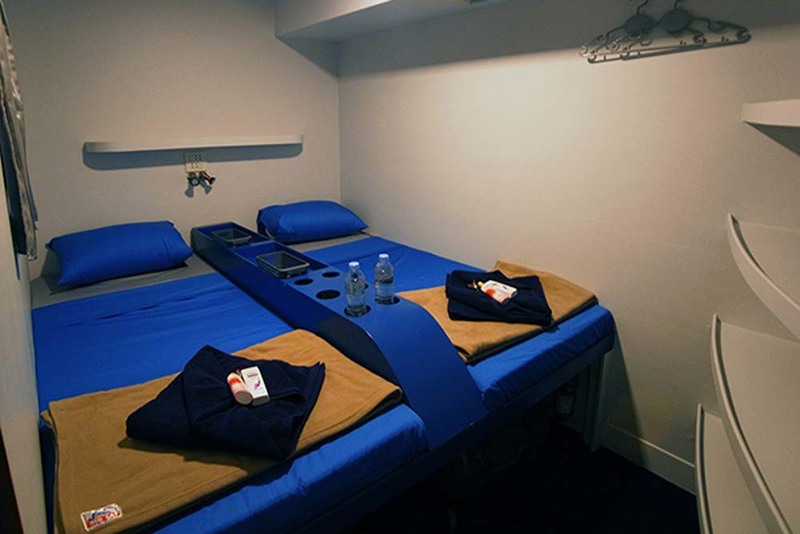 Although the ten cabins can accommodate up to twenty guests, the management of Bunmee 4 are not greedy. They prefer to have fewer very happy guests than a full boat of ‘quite happy’ guests. Other nice touches are things like the pre-ordered breakfasts that guests can order before going to bed. 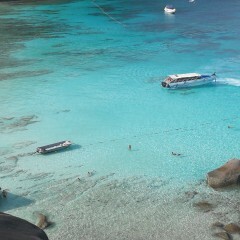 Most other Similan liveaboards only serve buffet meals. The food is a delicious blend of western & Thai cuisine that is very tasty and not too spicy. Of course, vegetarians and other dietary needs can be catered for, but please let us know in advance. 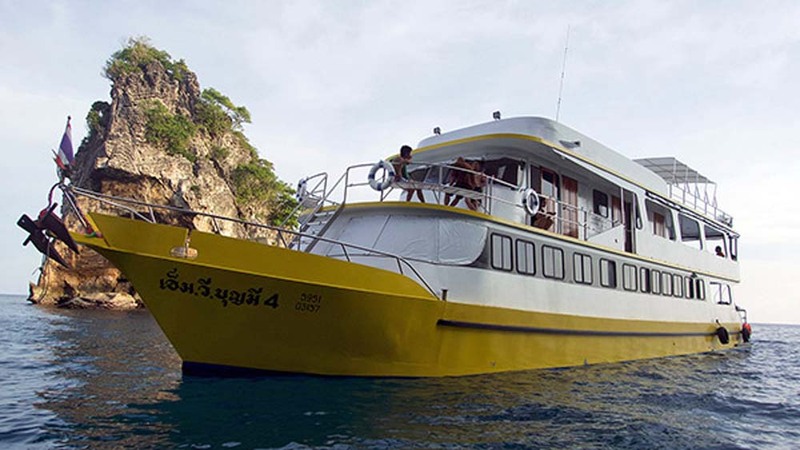 Finally, unlike most other boats in the area, Bunmee 4 offers trips to the Southern Andaman Islands (Phi Phi, Hin Daeng & Koh Haa) as well as to the Similans. 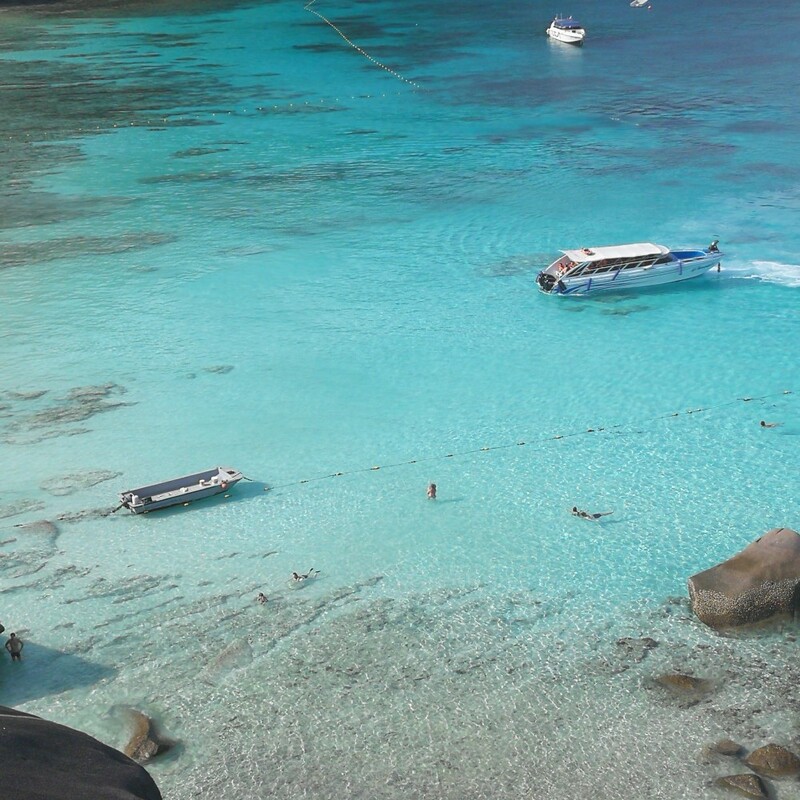 And for those who want to see it all, the 8-day supercruises include 3 days at the south, 4 days at the Similans, and a Phuket sightseeing daytrip tour in between. Bunmee 4 has four similar but different itineraries which are listed below. Please check carefully the itinerary for the trip(s) that you are interested in. 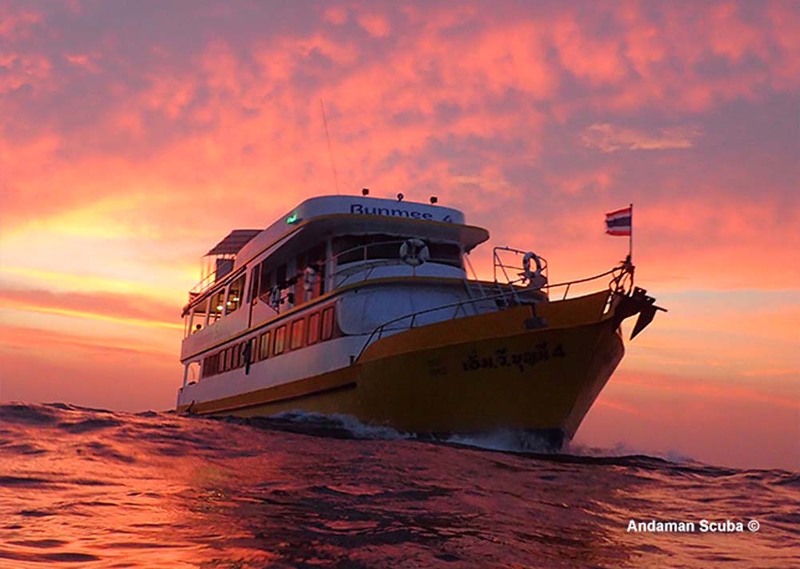 3D/3N trips go to Koh Phi Phi, Hin Daeng, Koh Haa and leave from & return to Phuket. 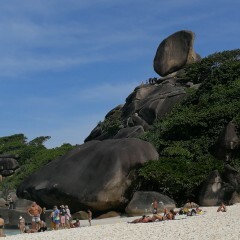 The 4D/4N, 4D/5N & 5D/5N trips visit the Similan Islands and Richelieu Rock, but leave from and return to different piers. Click below on the trip you're interested in to see more-detailed itineraries. 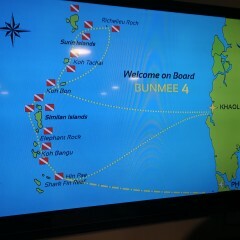 Bunmee 4 staff can teach CMAS and PADI courses on board. The most popular courses to take on this boat are the Advanced Open Water (or CMAS2*) and EAN Nitrox speciality courses. There’s also the Adventure Deep dive for Open Water divers who just want to be able to go deeper. 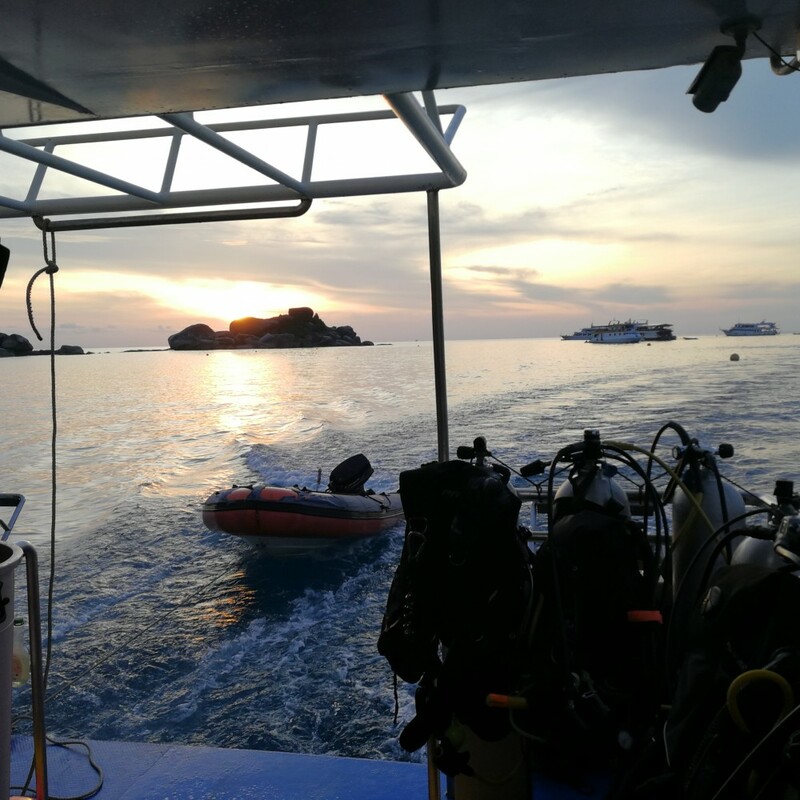 Most of the time it’s possible to decide on your diving course after your Bunmee 4 trip has begun, but it’s much better to let us know first so that we can make sure it’s available, let you know the prices, and prepare as much as possible in your preferred language. There are free shared scheduled transfers available for Bunmee 4 guests on departure and return days. The free pick up & drop off zone is the area nearest to the pier which Bunmee 4 departs from or returns to. Bunmee 4 has several itineraries, and uses piers in both Phuket and Khao Lak for its trips. Sometimes, the boat starts and finishes at the same place, but other times it departs from one and returns to the other. These are all detailed in the itineraries. In summary, if the boat is leaving from Khao Lak guests in Khao Lak get free transfers and guests in Phuket need to pay a small fee. 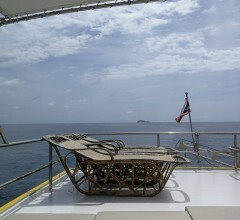 Likewise, if the boat is departing from Phuket, Phuket transfers are for free and from Khao Lak for a fee. This is the same at the end of the trips. Guests who are unable to meet the scheduled pick ups or would like private transportation are welcome to contact us to arrange a private taxi at the most competitive rates. 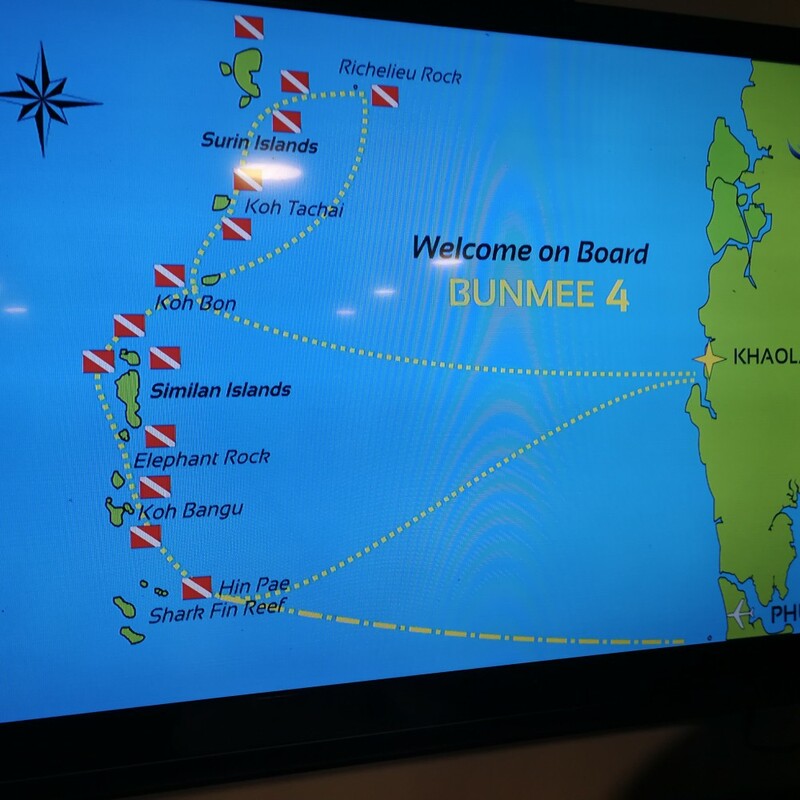 Bunmee 4 guests need to pay National Marine Park fees, the prices of which vary depend on the length of trip. Divers who need to rent diving equipment need to tell us body & shoe sizes prior to departure, so that we can prepare the correct sizes. New regulations for National Marine Park visitors means that everyone has to provide their passport details (a clear scan is best) so that we can buy your entry ticket. Due to limited supply, this needs to be done as soon as possible. Weekends, holidays, & local logistics mean that it is often impossible to buy your ticket 1-2 days before your trip. 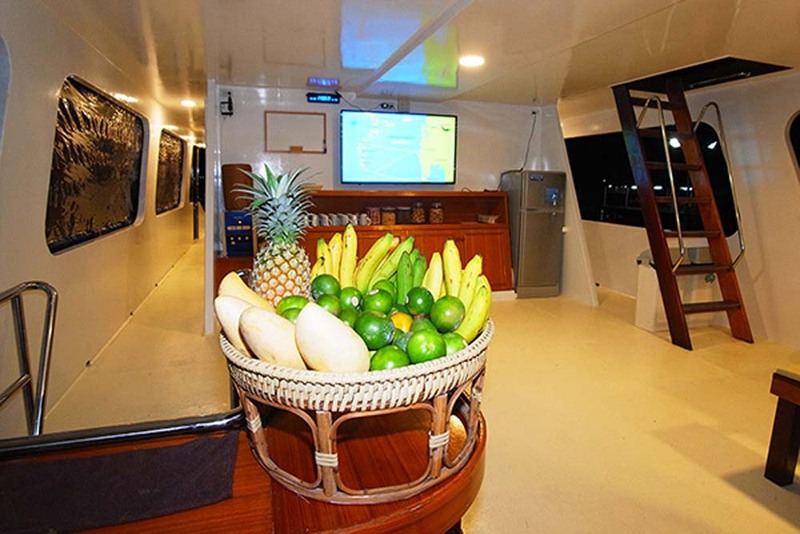 Extras are normally paid on board in cash, or at the Bunmee office in Khao Lak. Card payments can only be accepted in the office and a small surcharge applies.